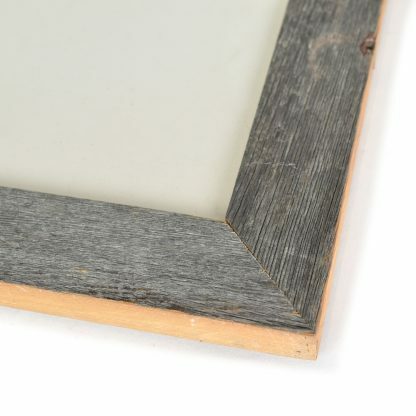 This handsome frame is made from wood salvaged from Chicago buildings and was built for us by FoundRe. 1.75″ profile with glass front and foam core backing. Finished with hanging wire on the back. 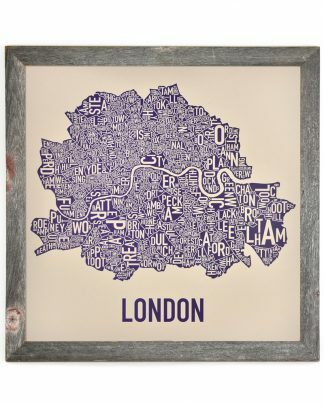 Pair with any of our 24″ x 24″ posters (Canada Provinces, London Neighborhoods, or Montréal B&W) or order the empty frame for some other artwork you have your eye on!